Why Hunt Turkey? – Because it’s Delicious! The turkey you hunt and the turkey you get at the supermarket are practically two different birds but we will get to that later. What you need to know right now is that the meat doesn’t compare! 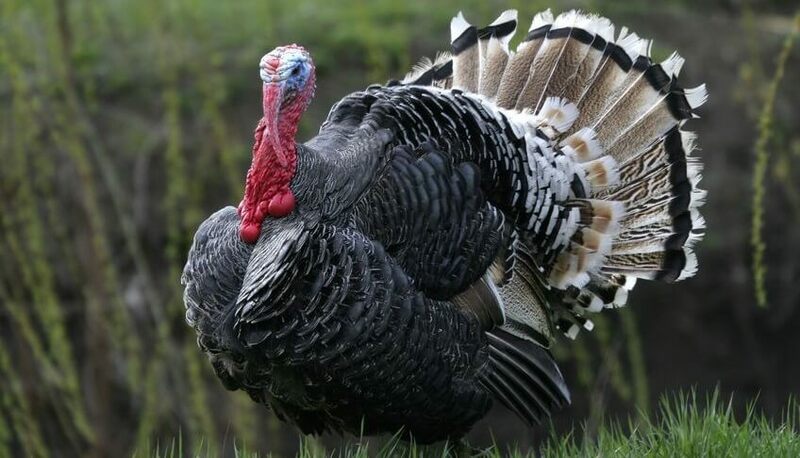 A wild turkey will have a varying flavor depending on where and what it eats. Hunters can pick their hunting grounds as much for flavor as for big toms. Personally, I prefer a bird that lived and fed mostly in open woodlands. It has a bit of a gamey bite to it but, depending on food sources, it has a richer and slightly sweet flavor. Turkey that feed mostly on farmland will actually more closely resemble a store bought turkey. But they have a little more complexity to their flavor. They will be slightly gamey but not as much as other wild turkey. All in all, wild turkey are superior to a store-bought. This is because their diet is far more varied and you can tell. I am not a fan of turkey that spend most of their lives around river bottoms or small ponds. I find them to be the most gamey. They can have a very complex flavor with their very varied diet. There is just something about their meat I don’t enjoy as much. The flavor of wild turkey is reason enough to prefer them. But there is another VERY important reason to eat wild over store bought. Nutrition! Wild meat contains more protein, anti-oxidants, and vitamins than any store-bought bird. It has less total fat, more micro-nutrients, and higher Omega-3s. Wild turkey is a superfood! When you’re getting started, you’ll need to learn how to tell your turkey apart. The only sure fire way to identify a mature tom from juvenile jake is to look at the center two tail feathers as he struts. The center two feathers will be noticeably longer on a jake where a tom will have feathers that are even. Everyone knows toms have beards but jakes and a small percentage of hens will also have beards. Most states require that any turkey killed be bearded so any of these are fair game. That said, normally a tom will have a beard more than 5 inches in length. Bearded hens have very short, fluffy beards. Jakes will be between these two. When it comes to eating, once they have a beard all turkey are pretty much the same. A jake may be slightly tenderer where a tom will have a fuller flavor but their diet is much more important than their age when it comes to taste and texture. If we start at the high point of taking down your tom, you need either a shotgun or a bow. Most states don’t allow turkey hunting with a rifle but check your local regs, you could be an exception. For shotguns, you want a heavy shot. I like a #4 or #6 for a 12ga and if I go with a 20ga, I like a #7. All of these will work on a turkey with a good tight shot pack and good shot placement. There are a variety of turkey specific loads that blend #5, #6, and #7 shot. Many people like these loads but I have had my best success with a #4 shot pheasant load. The truth is that most of these will work. Just don’t go out with trap loads or bulk box ammo. Even if you take down your bird, you are going to have a heck of a time getting all the shot out of the meat. Many hunters go with a bow for their turkey hunts. This is usually a compound or crossbow. But taking turkey with a traditional bow is becoming more popular. You don’t have to have a lot of power, any bow pulling at least 35 pounds will do the job. There is a rising market for expanding broadheads. Many turkey hunters are gravitating to them. My favorite has always been a standard 2 blade broadhead and I have taken dozens of turkey with them out of both traditional and compound bows. I have taken probably 80% of my turkey with the same Zwickey Eskimo broadheads they have made since the 1980s. Yes, turkey can take a long time to die and can even fly with an arrow through them. Shot placement is key! You need a heart or lung shot to keep them down. The broadhead you use makes little difference. Most people don’t realize exactly how good a turkey’s vision is. Its theorized that they can even see lightly into the UV range. Whether that is true or not, they can see at least 3 times better than you and spot movement much farther away. You need decent camo for turkey for sure. Also be careful of how you wash it. Amazingly, some brightening detergents can actually make your camo stand out. You wouldn’t want to look like you’re glowing to a turkey. Most hunting suppliers carry a range of options, all of which usually work well. Both Realtree and Mossy Oak work well. Nomad Hunting Gear sells good, affordable camo if you can get it on sale. Pick something in your budget that is made of mostly natural fibers. You also want some way of hiding just in case. You can hunt from a tree stand, ground blind, or natural cover. I am fond of a ground blind but they are the costliest and hardest to manage. If you get one, make sure it fits you well. After that, I like natural cover over a tree stand but that is my preference. A couple of good, realistic decoys are very handy. Turkey love competition so I like to get a jake and a couple of hens. I am a big fan of Montana Decoy’s Perr-fect Pair which are collapsible and lightweight for easy transport. If you want something more premium, Avian-X are hard to beat. You can get by without decoys but your life will be much easier with them. You probably want a few calls to get your best opportunity. There are hundreds of different calls out there but the three most common are the box call, the slate call, and a mouth call. I always take a mouth call because they are tiny and versatile. Usually I will take a slate call as well. I used a box call years ago but it’s just not as versatile. Take the time to learn to use your calls or you may scare more birds than you attract. You won’t learn from reading but maybe I can give you a little step in the right direction. To use one, you place it in your mouth with the flat side forward and press it against the roof of your mouth with your tongue. You want as close to an airtight seal as you can get but don’t crush it against your pallet. That will do nothing good for your gag reflex. Give it time to settle in and for you to get used to having it there. Then, while resting your tongue against the reed at the front, push some air between your tongue and the reed. It will take a little practice to get the pressure just right but when you hear a sound, you are doing it right. Now to learn the actual calls. First listen to some turkey actually calling. This is a huge help! For a yelping sound, say the word ‘Chert’ quickly and close the T at the end off hard. Repeat this quickly for a good run of yelps. For a clucking sound, the word ‘Pork’ works for me. Treat it the same way for a sharp cluck or to make a purr, roll that R like a Scottish accent. For that telltale cutting sound, run several clucks together quickly and close it with a short purr. Listen to a variety of calls and play with mixing up ‘Chert’ and ‘Pork’ to make a realistic combination. You will need to play with the pressure you put on the call and how much air you use. This takes time but is such a good method its very worth the effort. Slate calls are much easier to use but cost a little more. I love Knight and Hale calls but to start out with, get a cheaper Primos call like their Classic Pot. It works and doesn’t cost a fortune. The important thing to remember with a slate call is that the pressure you put on the call is more pronounced when you draw the peg toward you and weaker when you push it away. This will become important quickly. For a simple cluck, take the peg and place the tip on the slate. Angle it like you would if you were writing and draw it in toward you with a quick motion. If your slate is slick, you may need more angle to get a good sound. Play with your pressure to see the difference it makes. Yelps are done by drawing a series of small mounds on the slate. Think of it as righting a continuous cursive M over and over. Start close to you and move away as you get to the top of the M and then back. Play with your pressure and the size of the M.
Purrs are done by making a slow line across the slate. Some people do a straight line while others will sort of stair step theirs for a little variation. Try to get a constant sound first then try to get your peg to skip a little on the surface of the slate to show agitation. This is the most fun call to practice. If you are a hunter, hopefully you have some scouting experience. There are dozens of guidelines and hard rules many hunters use to scout. But the truth is, all you need to do is spend time in the woods and keep your eyes and ears open. Animals are very pattern driven. Over time you will begin to pick up these patterns and apply them. Pay special attention to the areas where animals sleep, eat, and drink. Watch for trails they commonly follow and where they congregate. You need to do that with turkey as well but here are some more specific guidelines on how to scout for turkey in any season. Turkey are very seasonally affected. The timing of both turkey seasons corresponds to times of significant behavioral change. If you are scouting 2 months out, realize that travel and feeding routes may change dramatically. Roost locations are likely to remain fairly consistent. I find 3 to 4 weeks ahead is the best time to start scouting. I want to be out before the leaves come on in the spring or right after they finish dropping in the fall. The feeding sights may still change but not as significantly. I will scout up to the week before the season starts and then stop. I want to give the birds a little break from my presence before the season starts. I am blessed with about a dozen hunting locations and I want to get to the best one. This is early scouting. I hit each area and quickly look for scratching, feathers, and droppings. The more I find, the higher the turkey population. I want the most populous site I can find, preferably with more than one flock. From there, I will start scouting within the area to find at least 3 different hunting spots. This is just in case other hunters happen to take a spot I like or if one seems more opportune for the time I get to hunt. The worst thing you can do is scout in the late evening when turkeys are getting ready to roost. You can disrupt a great spot by scaring them away. Instead, you want to scout when turkeys are at their most active. They will be more accustomed to disruption at this time and more forgiving of it. Mid-day is the best time to scout. From about noon until about 3:00 or even a little later in Spring. If you can’t get out at mid-day, stick to as late in the morning or as early in the evening as you can. This is especially true if you are scouting very close to season opening. If you are scouting a section of woods in mid-March and you hear a bunch of turkey calls, it’s most likely another hunter. Turkey are pretty quiet until the breeding season really starts. Take a cue from them and leave the calling at a minimum. I stick to locator calls and keep its use short, sparse, and brief. I prefer a coyote in my area because its most likely to get a response if any call can. The truth is that spring calling is almost always most effective early and late and you shouldn’t be in the woods then. – We covered that in the previous section. Scouting is a skill learned over time. I scout year round and try to keep a mental map of what animals are doing and where they are going. I typically know where the deer, turkey, and most other animals are going to be in a season. Practice and learn to identify the marks turkey leave behind. Learn to notice their feeding and roosting areas. Turkey are pretty easy. Their feathers and dropping are very distinct even if they rarely leave a good track. With two opposed seasons, the motivation of the turkey changes and this can be used to your advantage. In the spring, it’s all about mating and that makes toms and jakes a little more careless. It also makes them much more predictable and easier to fool. Decoys and calls are very effective in the spring when a good hen cluck and a hen decoy will often be enough to bring a tom into shooting range. If you throw a jake decoy into the mix or another tom it will help. Throw in an element of competition and these otherwise cautious birds will often come running. Set up on the edge of a field that offers good cover in an area where you see signs that turkey are feeding. Get a couple of decoys out there and maybe make a couple of calls. If you get a response, stop and wait. This is often all you will need to get a turkey in range. Fall turkey are food motivated and will congregate anywhere that food is still abundant in November. If you have been scouting, these are often easy to identify. Any area with seed grasses or farm fields will be prime contenders. Decoys are still a staple of fall hunting as are calls but they are less effective. Turkey in the fall are not looking to for other turkey. They may have a flock and travel together, especially females and jakes. Toms may be solitary at this time or even run with another tom. The key to a fall turkey is to set up near food and put out a couple of decoys. Hens and jakes are the best but a tom may work. Be patient, still, and quiet. This is classic hunting at its best. You may also have luck setting up between roosting and feeding spots. I would estimate between 75% and 80% of turkey kills in the fall happen during morning or evening movement. There may be some disagreement about this but all of the best meat on a turkey are the breasts, thighs, and drumsticks. Wings are small and often not as pleasing. The rest of the bird, in my opinion, is not worth the trouble. This makes dressing a turkey a very easy process. The first step is to make a small hole in just the hide right above the breast bone. You can insert your fingers and pull all of the hide away. You want to expose the full keel bone and the joints of both hips. To get at the breast, fold back the hide until the entrails are away from your work area. Run a sharp knife against the keel bone through the meat and follow the keel bone upward. You should easily be able to remove the breasts with two clean cuts. For the thigh and drumstick, you will need to dislocate the hip joint. Simply hold the keep bone and fold the leg outward until you hear a pop. You can then use a knife to go around the joint. This will be most of the usable meat on a turkey and the best tasting. I leave the rest. If you have gone through the dressing as I described, you will have three different cuts of meat. The drumstick will have to be separated from the thigh but that is an easy task. The drumsticks I strip the fat and tendons out and grill if I want them whole. Usually, the meat is separated from the bone and used for turkey gravy. There isn’t a ton of meat to begin with so this stretches it a little and makes a very good gravy. The breasts and thighs can be used for most any chicken recipe with good success. Set your crockpot on low and add both turkey breasts. Stir your soup mix and broth together until well mixed and add to turkey breasts. The broth should barely cover the breasts or leave a little exposed at the top. Mix try ingredients and add sprinkle over the top. Let cook for about 8 hours. This is a savory, robust way of preparing your turkey. While I will always be a fan of frying them in olive oil in a skillet, this is a good way of changing it up. You can do the same with a domestic turkey breast. Domestics are a good way of testing out recipes but note that the flavors will change dramatically. Often not enough to throw off what seasonings you would use but enough to surprise you if you are expecting that store-bought flavor.